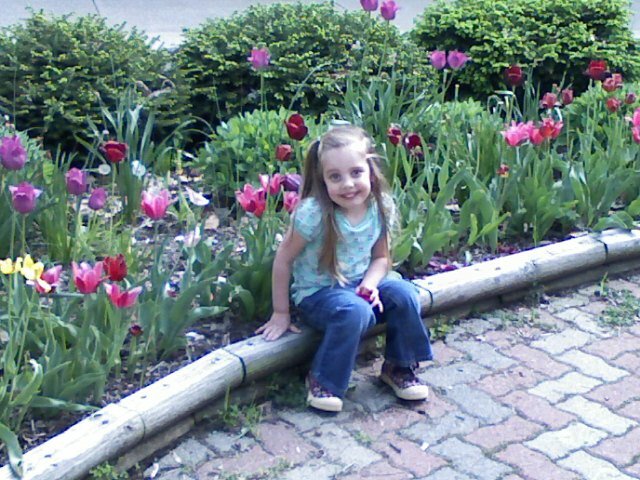 On Saturday, we went in town for Mt.Gilead's Spring Arts Festival. 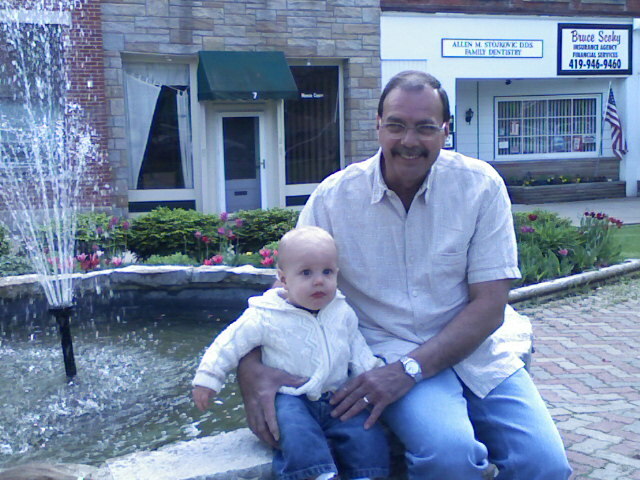 I love this picture of my dad with Gauge by the fountain. 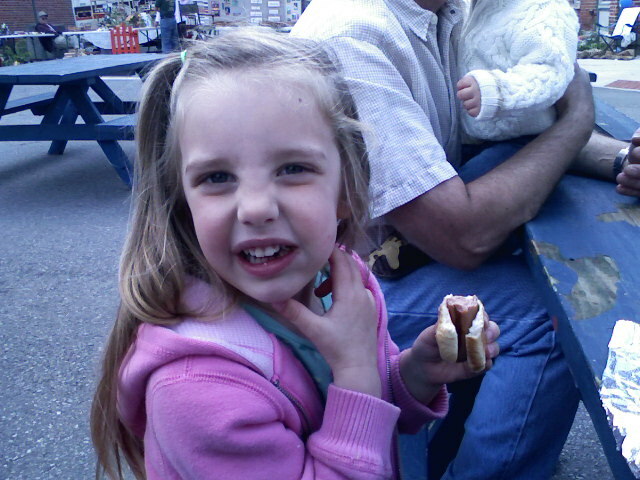 Grace had her favorite food in the entire world......a hot dog!! After the Art's festival we rode to Marion with my mom and dad. 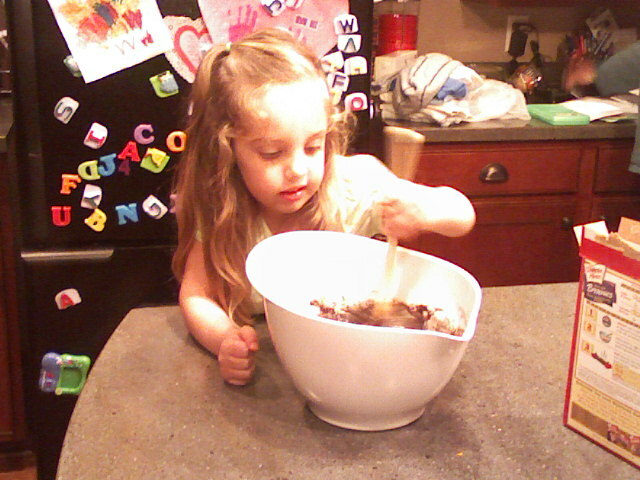 We stopped at Lowe's and then ate supper at Bob Evan's. 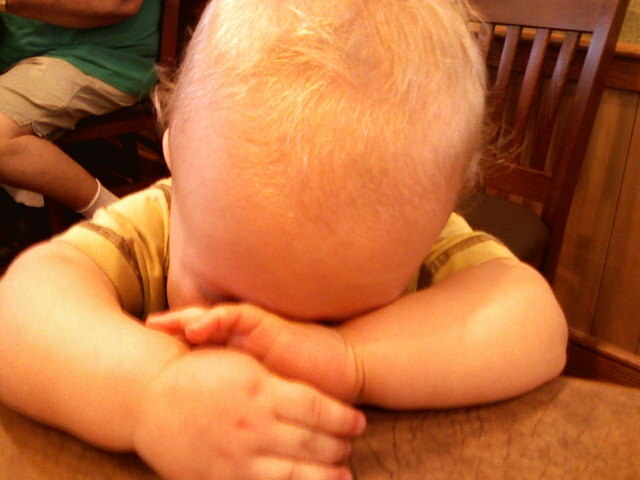 Poor little Gauge was so tired, he laid his little head on the table. 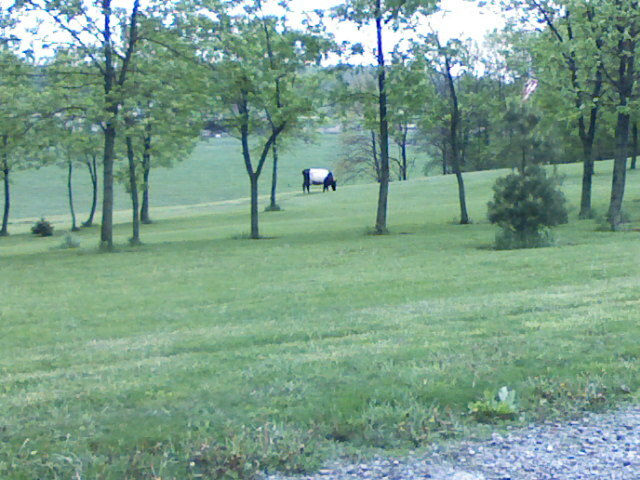 Just on a completely random note.....my brother-in-law/neighbor had a cow in his front yard on Sunday afternoon. Gotta love when the neighbor's cows get lose. It felt like one of those jokes that starts off "You know you're in Morrow County, when....."
Sunday afternoon, we had supper at The Spaghetti Warehouse. Fourteen of us gathered together to celebrate my Aunt Pam's graduation with a Master's Degree. 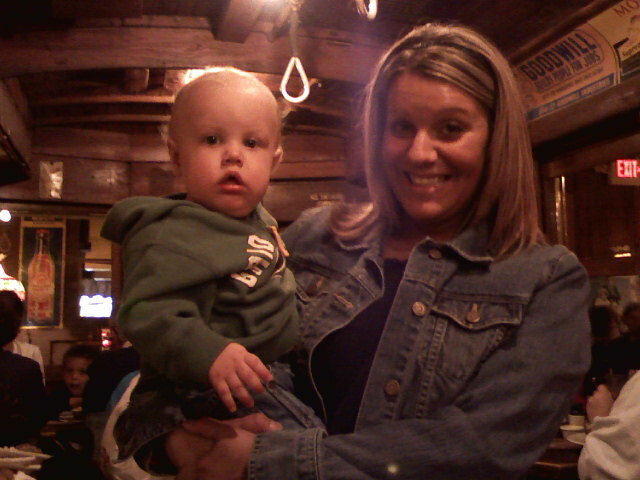 Congratulations and we love you Pam!! 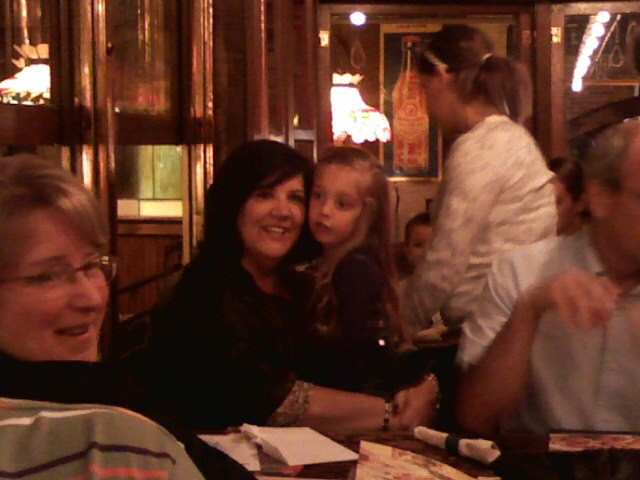 Here is a picture of my Aunt Pam and Gracie. Gauge was very tired from his long weekend. 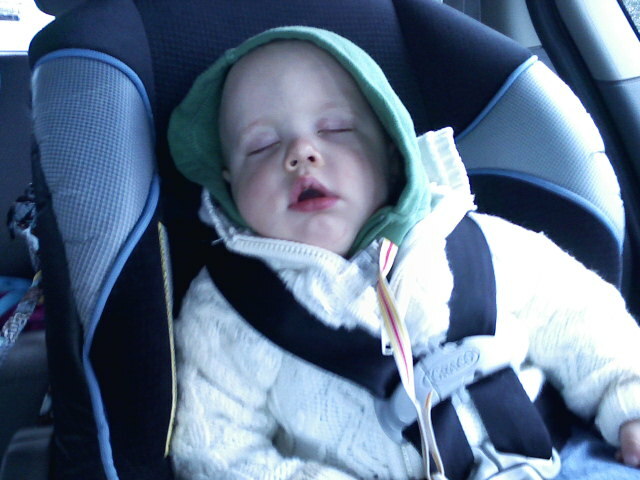 He crashed before we were even out of downtown Columbus.